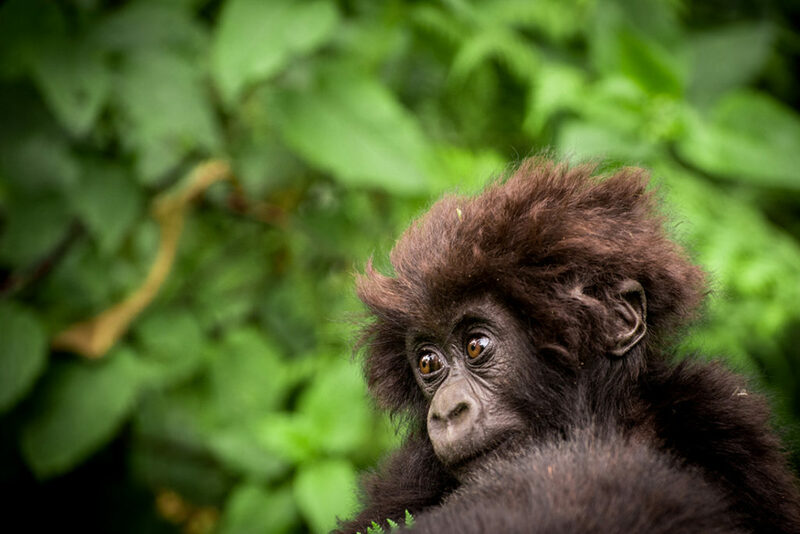 Mountain gorilla Poppy – who turns 42 years old on April 1 – is not only the oldest gorilla monitored by the Dian Fossey Gorilla Fund, she’s also the last of the gorillas we monitor who was originally studied by Dian Fossey. 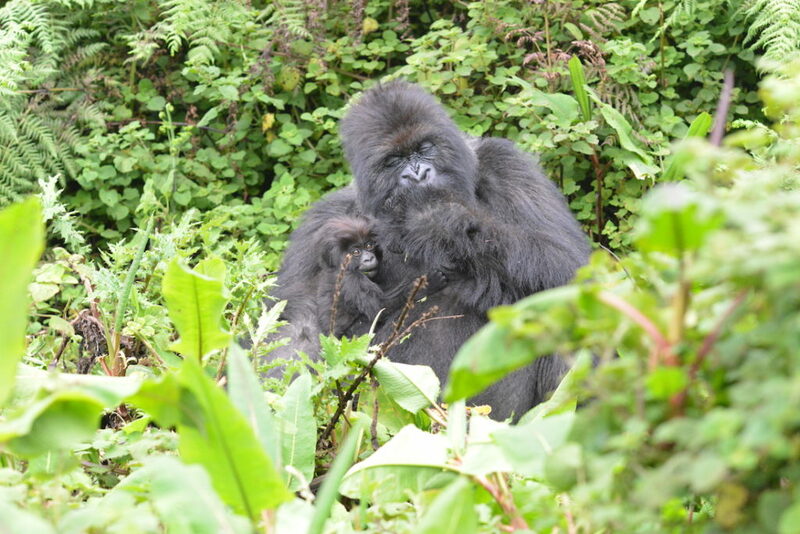 And recently she became the oldest gorilla we’ve ever observed to give birth, with her infant arriving last December. 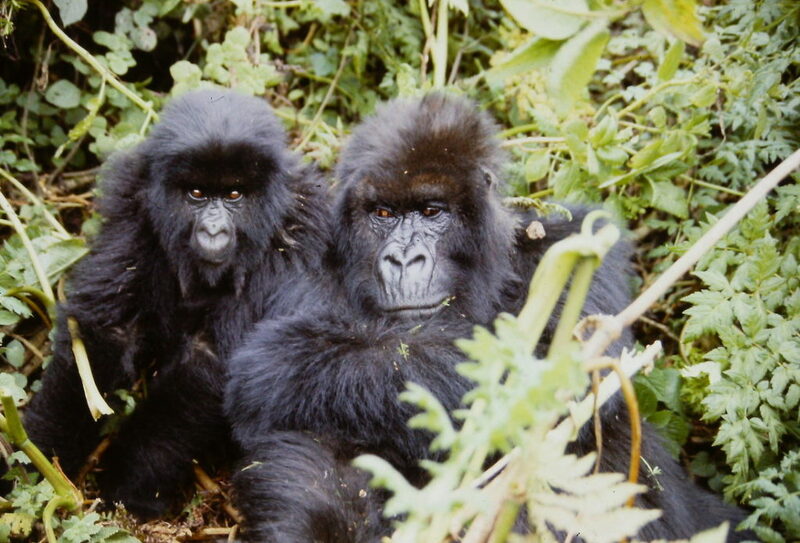 Poppy was born in 1976 into one of the original groups of gorillas studied by Dian Fossey (called Group 5) and stayed in that group until November 1985, just a few weeks before Fossey was killed. 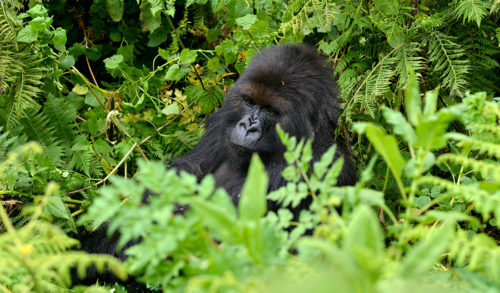 At that time, she transferred to the Susa group, which is one of the groups monitored by Rwandan park authorities. Although our teams did not observe her during this time, we know from our national park counterparts that she Poppy quickly rose in status among the females and gave birth to several infants. 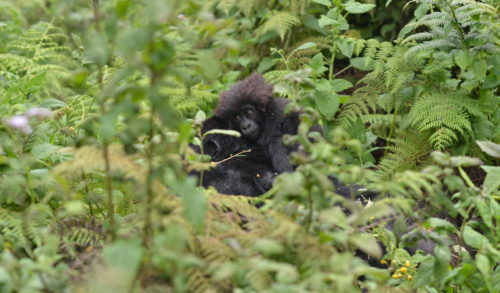 After 30 years in the Susa group, in 2015 Poppy transferred back into the Karisoke population at the age of 39. 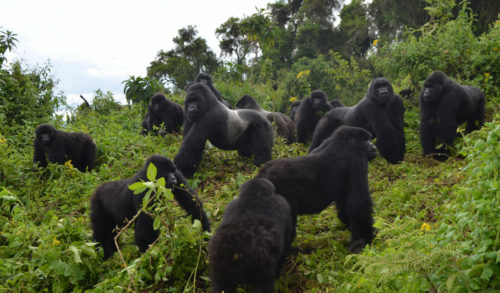 Her decision to transfer groups at such an advanced age (gorilla females generally live into their late 30s or early 40s) surprised our field staff, who were delighted to see her and have been following her ever since. 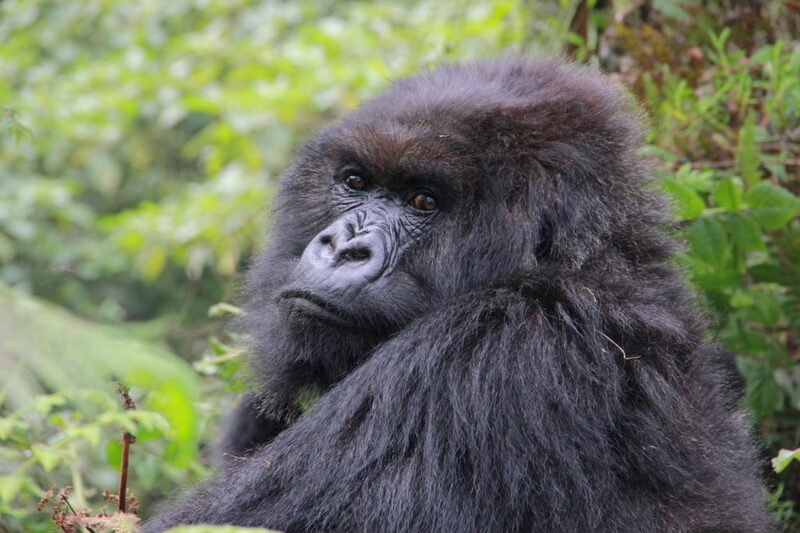 Poppy hails from a historic matriarchal line of gorillas named for her mother, Effie. 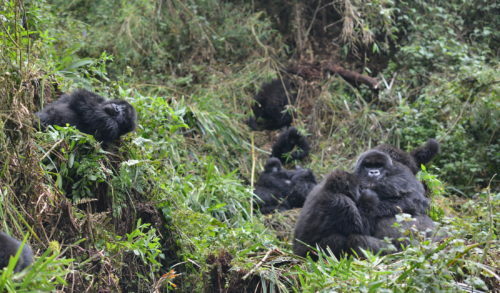 Effie’s descendants are now spread out in many groups within the Virunga mountains and are known for some common traits, including dominant personalities and facial similarities.